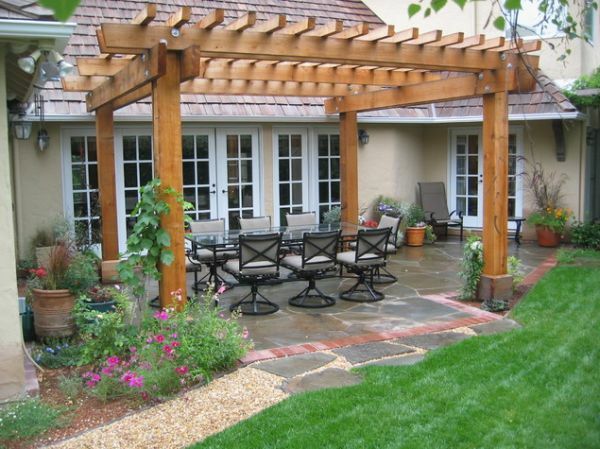 Technically, a pergola can be defined as being a garden feature like a shaded walkway or sometimes as a sitting area with pillars and a sturdy open lattice. A gazebo can sometimes also be considered a pergola. The same thing goes for any other extension of a building or link between pavilions.